These special girls have one body and two heads! 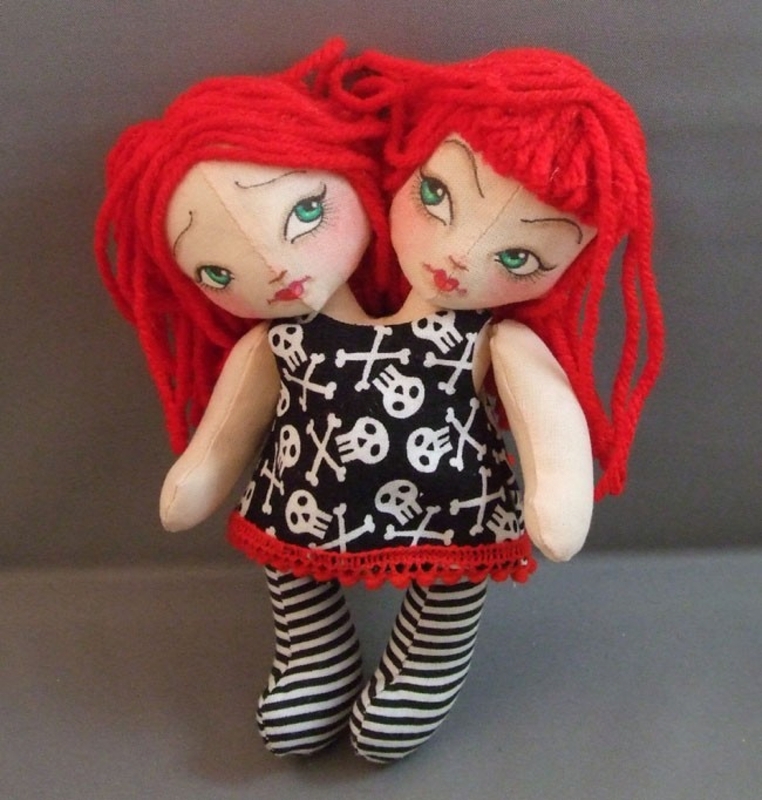 Their dress is made of super cute skull print fabric with red mini pom pom trim along the hem. They have black and white striped legs and little black with white dotted romper undies that match their outfit perfectly. Arms and legs are joined by floppy wobble jointing making them perfect for posing and sitting. Each face is hand drawn and painted using ink pens and colored pencils. They measure 7" tall from head to feet. Each dolly is handmade to order, faces and details may vary.